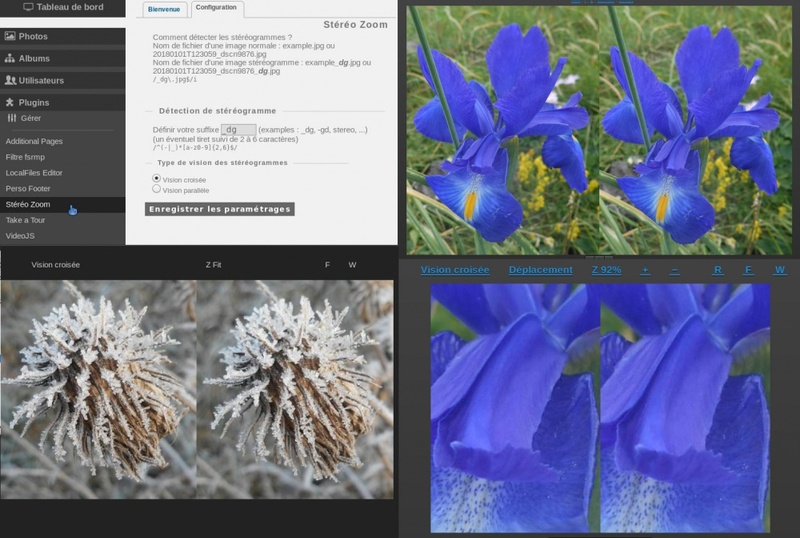 Hakkında: Gestion de l'affichage d'un stéréogramme au format jpeg (paire de vues jointes côte à côte), vision croisée ou parallèle, vue générale ou pleine résolution (zoom 100%), zoom modulable à la molette, navigation dans le zoom, affichage pleine fenêtre ou plein écran. Compatibilité mobile. Envoi sur chromecast d'images au format JPS et de vidéo au format mp4. L'envoi de fichier mpo n'est pas supporté. 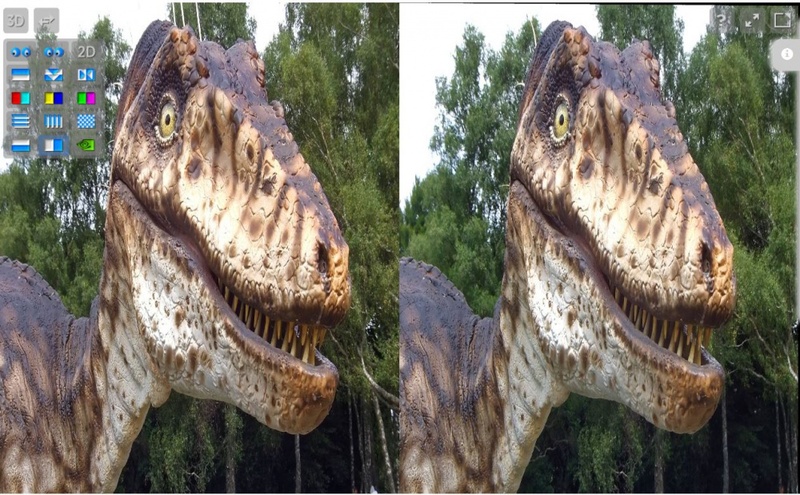 Hakkında: Lets you display and manage 3-D images as wiggle gifs, or side by side frames for cross-eyed or wall-eyed viewing. This plugin splits uploaded .mpo images and creates two-frame gif images for viewing on a 2-D screen. The MPO format is used by FujiFilm's Real 3D cameras, Nintendo's 3DS, and HTC's 3-D smartphones, among other devices. When viewing an image as a wiggle gif, you can change the frame offset to focus on objects at different depths. Use H, J, K, and L to change the offset. Holding shift moves 10 pixels at a time. Use 'U' and 'I' to rotate one frame to match the other. This plugin adds a tab on the photo edit screen for administrators to adjust the default offset for all viewers, but everyone's adjustments will persist in their browser's local storage. It supports swiping to adjust offset on mobile devices, but only displays the gifs if you switch to desktop mode. Değişiklikler: Added rotation of gif frames and updated maintenance script for 2.7 class-based updates.